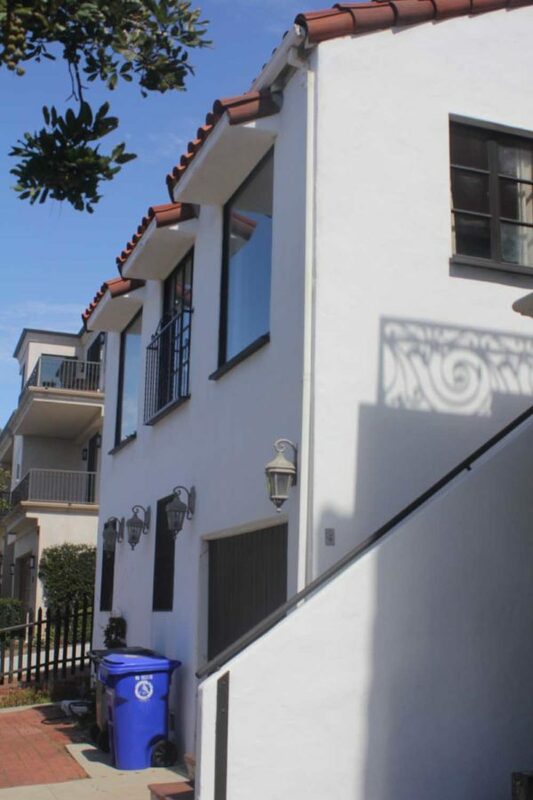 The widow Gandall’s home has finally become an official part of Manhattan Beach’s history. The City Council Tuesday night voted unanimously to declare the little Spanish Colonial Revival style home at 2820 Highland Ave. a historical landmark. The action is the first act of historic preservation undertaken since the city’s implementation, last March, of a Mills Act program, which gives property owners tax incentives to maintain buildings deemed culturally significant to the city. “What a historic moment,” said Councilperson Amy Howorth. The home is a modest little two-story, 1,432 square foot duplex that was built in 1932. It is historically significant in several aspects. Architecturally, the house is both remarkably intact and representative of the city’s early development. The land it was built upon is part of a so-called “Peck tract,” 32 blocks of land with 16 lots each purchased and marketed as Manhattan Beach by founding city developer George H. Peck in 1905, seven years before the city actually became Manhattan Beach. The builder was Frank Daughterty, one of the city’s first contractors and mayors. And the first owner was May Gandall, a 69-year-old widow. According to a report completed by a historic preservation consultant as part of the Mills Act application process, U.S. census records show Gandall was born in New York in 1863 or 1868, lived in Hawaii with her husband in the 1910s, and was widowed by the time she paid for the home on Highland. The lot cost $10,000 and the home $3,000 to build. “As an elderly widow during the Great Depression, she may have built it for financial security reasons, whereby she would live in the lower unit and rent out the larger upper unit,” the report says. The home’s journey to historic preservation was nearly as epic as its first owner’s. Councilperson David Lesser recalled that he and a group of other residents began meeting monthly 14 years ago at the home of former mayor and unofficial city historian Jan Dennis to discuss ways to improve the city’s historic preservation practices. The council, at that time, did not embrace the Mills Act. Lesser credited Dennis, the Manhattan Beach Conservancy, and the current council for finally embracing the city’s history in a meaningful way. Jane Guthrie, president of the Manhattan Beach Conservancy, expressed hope that this was the first but not the last piece of history preserved locally. Lesser and Howorth, who were both serving their last meeting after eight years on the council, together made the motion to designate the home historic. The motion, which passed 5-0, was the very last thing they did as sitting council persons. Homeowner Annette Pickens expressed gratitude.